Nostalgia for empire in the Middle East misses two points: we’re not witnessing the “final end of imperialism” and imperialism did not bring order. 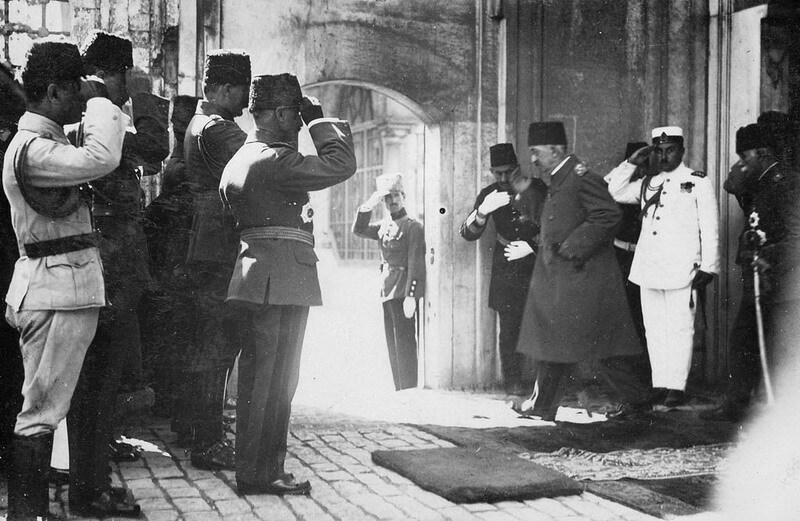 Deposed Sultan Mehmed VI leaves for exile as the Ottoman Sultanate is abolished in 1922. When it comes to the Middle East, nostalgia politics is in vogue. While ISIS is busy “restoring” an a-historical caliphate, others are pining for the apparently lost innocence of empire. Robert Kaplan expressed profound admiration for the supposed benefits that empire brought to the Middle East and some other parts of the world. “Imperialism bestowed order, however retrograde it may have been,” the intellectual who was named by Foreign Policy as one of the world’s top 100 global thinker in 2011 declared in the same magazine. This supposed world-beating thinker seems convinced that “the age-old clusters of civilisations” has immunised Morocco, Tunisia and Egypt to the worst excesses of the current upheavals. Kaplan fails to answer why it is that, if this were so, the region’s most ancient cluster of civilisations, namely Syria and Iraq, are currently experiencing the most devastating tumult, while civilisation’s traditional backwaters of the Gulf are, at least superficially, relatively stable, for now. At a certain level, I can understand Kaplan’s nostalgia for the Ottoman, and before it Roman, empire. After all, despite their ancestors’ painful divorce from the Ottomans, some Arabs shared in Turkey’s new sense of “Ottomania” – at least when Erdogan was still considered an Arab hero. And at its best, the Ottoman empire was a de-centralised empire of relative local autonomy, marked by tolerance, prosperity, multiculturalism and, hard as it is to imagine today, a borderless space not unlike the modern European Union. The Tanzimat of the mid-19th century, among other things, created a common citizenship, erased ethnic and religious inequality and even decriminalised homosexuality, though they marked the beginning of more direct rule. The Ottoman empire’s status as the “sick man of Europe” infected all its provinces and its strident and toxic form of Turkic nationalism – epitomised by the Young Turks, who introduced democracy to the Ottoman empire but then briskly withdrew it – did not lead to stability but catastrophe. The “Three Pashas” in charge not only disastrously decided to join World War I, precipitating the collapse of the empire, they also engaged in a fit of bloodlust against the Armenians that makes ISIS look like amateurs. The region’s new imperial management did not fare much better. Though the British and the French accelerated the region’s modernising impulse, they only paid lip service to the vaunted values of modernity, and hardly brought the stability Kaplan so values. The great distance from and the lack of shared history with their subjects resulted in a callous disregard for their needs. 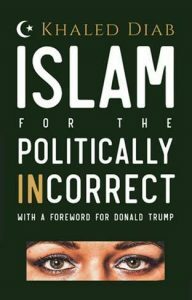 This was reflected in everything from the Sykes-Picot arbitrary drawing of borders and the brutal suppression of regular uprisings to the imperial assumption that the region’s resources were the sole property of London and Paris. Likewise, independence and post-colonial leaders promises of freedom were dashed when the foreign elites that had previously ruled were largely replaced by, in many ways, an equally “foreign” domestic elite, who looked and spoke like the “liberated” populations but behaved like their former masters. Arabs originally saw America as an ally and kindred spirit for its apparent support for national self-determination and opposition to Anglo-French hegemony in the region. But instead the US largely replaced the direct rule of its predecessors, with the client-state model in which those who behaved could literally get away with murder, while local leaders seen to step out of line were “contained” or eliminated. “The meltdown we see in the Arab world today… is really about the final end of imperialism,” Kaplan claims. I expect this declaration to go the same way as Francis Fukuyama’s the “end of history” or George W Bush’s “mission accomplished”, i.e. into the dustbin of history. Moreover, this nostalgia for past empire, like the clash of civilisations theory, not only misdiagnoses the disease but also prescribes the wrong medicine. “The demonstrably hands-off approach to these developments by President Barack Obama manifests the end of America’s great power role in organising and stabilising the region,” Kaplan writes wistfully… and wishfully. Any level-headed analysis of the US’s decades-long involvement in the Middle East will conclude that Washington has done little to organise and stabilise the region. From its traditional role of propping up “friendly” dictators and autocrats and its subversion of numerous independence movements, to its disastrous decision to return to the era of military invasion and direct rule in Iraq, Washington has been a major contributor to regional chaos and instability. Far from marking the “end of imperialism”, what we are witnessing today, a century after the implosion of the Ottoman empire, is its resurgence. In this new scramble for the Middle East, we are witnessing the petty sultans of the region’s crumbling states trying to hold on to their micro-empires; non-state armed groups trying to usurp them; Iran and the emerging powers of the Gulf seeking to expand their spheres of influence; and America’s longstanding hegemony being challenged by the new-old kid on the block, Russia, and newcomer China. As the old order collapses, perhaps the Middle East does needs a new “imperial” age, but along the lines of a people’s empire. Just like the member states of the European Union decided voluntarily and democratically to unite territory that had only ever been integrated through conquest, the peoples of the Middle East could benefit greatly if the current conflicts and crises push them towards a voluntary union of equals. However, at every geopolitical strata, there are currently too many enemies stacked against such an endeavour. But just as the EU would have appeared to be a delusional fantasy during World War II, perhaps this indicates that there is hope for our troubled region yet. This article first appeared on Al Jazeera on 29 May 2015.